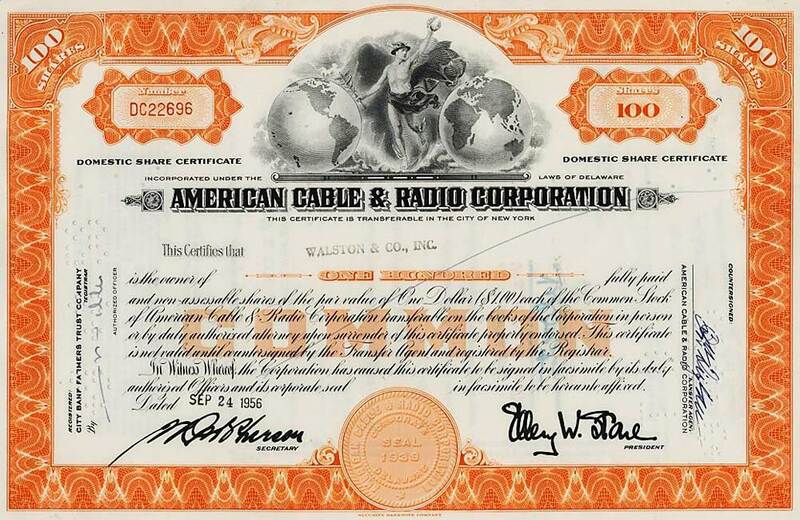 The Commercial Cable Company was formed in 1883 by John Mackay, a mining magnate, and James Gordon Bennett, owner of the New York Herald (which he inherited from his father, also named James Gordon Bennett), to compete with the Western Union Atlantic service. Six Atlantic cables were laid for the company, the first in 1884 and the last in 1923. 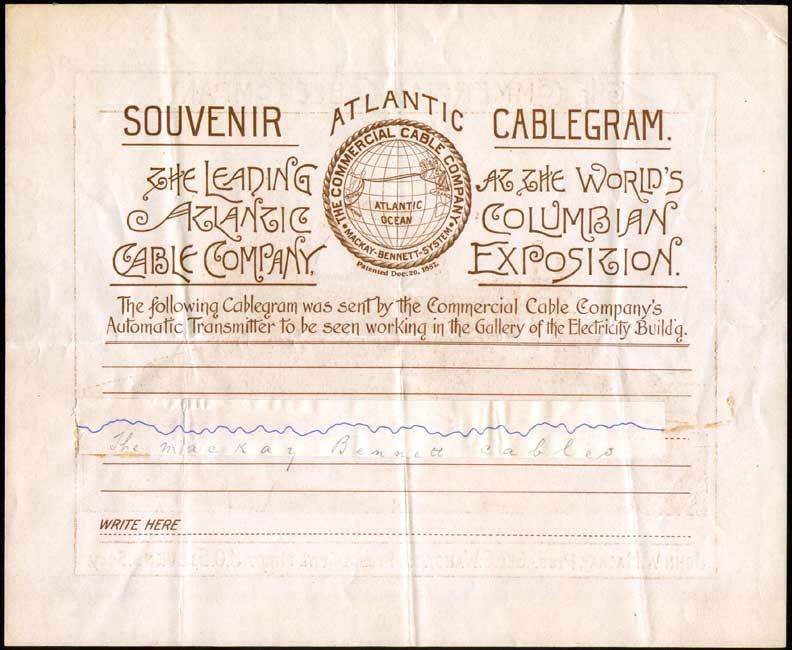 The first two Atlantic cables were manufactured and laid by Siemens Brothers in 1884 using CS Faraday (1). 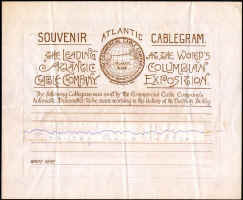 Cable routes and lengths were as follows:- Dover Bay, Nova Scotia to Coney Island, New York 826 nm. Dover Bay - Waterville, Ireland 2399 nm and a second cable over the same route 2281 nm. 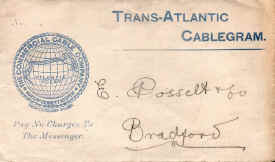 From Waterville one cable, 330 nm long, ran to Weston super Mare, England, and the other, 514 nm in length, ran from Waterville to Le Havre, France. 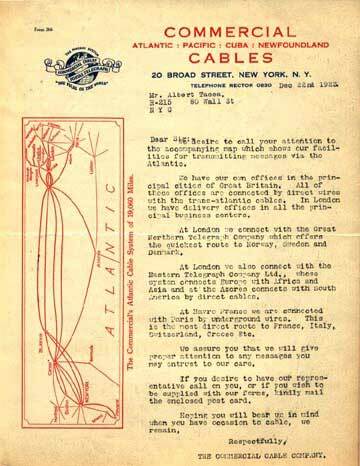 Once these cables were in operation they took a great deal of business away from Anglo American and Western Union. Pinback logo button with celluloid calendar for 1898 on reverse. Made by the Whitehead & Hoag Co., Newark NJ. It was not until 1894 that a third Atlantic cable of 2161 nm was laid; again Siemens Brothers manufactured the cable and used CS Faraday (1) to lay it, the route being the same as that used for the 1884 cables. 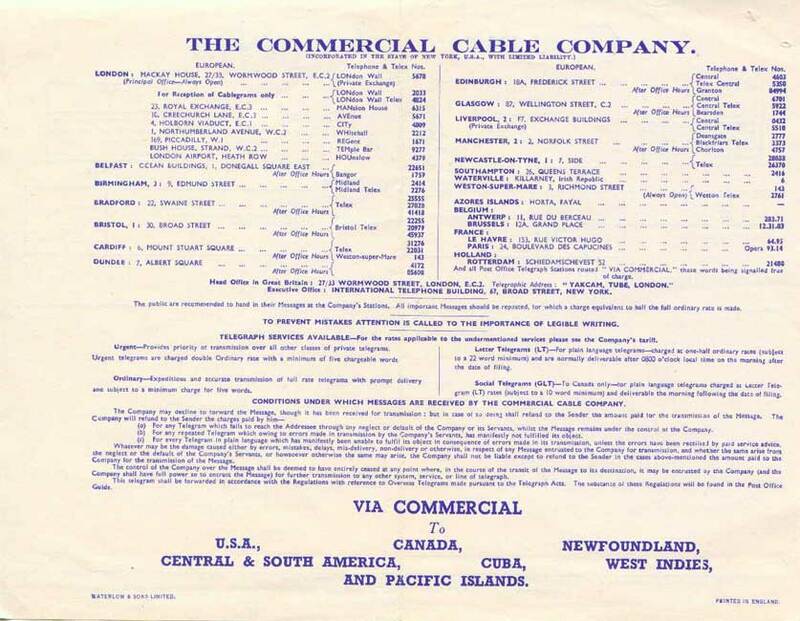 In 1900 Siemens Brothers, again using CS Faraday (1), laid the first part of a fourth Atlantic cable for the company from Nova Scotia - Horta, Azores. A total of 1698 nm of cable was used in this expedition. 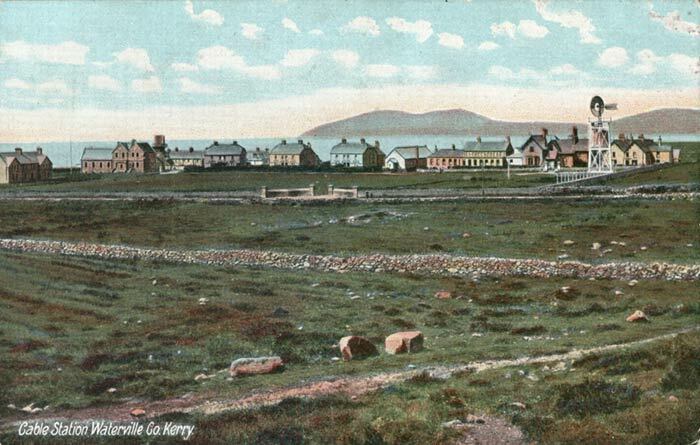 The second leg of the cable from Horta to Waterville was laid in 1901 and once again the same manufacturer and cable ship was used. The length of the cable was 1204 nm. An additional cable was laid between Nova Scotia and New York by CS Silvertown, owned by the India Rubber, Gutta Percha and Telegraph Works Company, who also manufactured the cable. 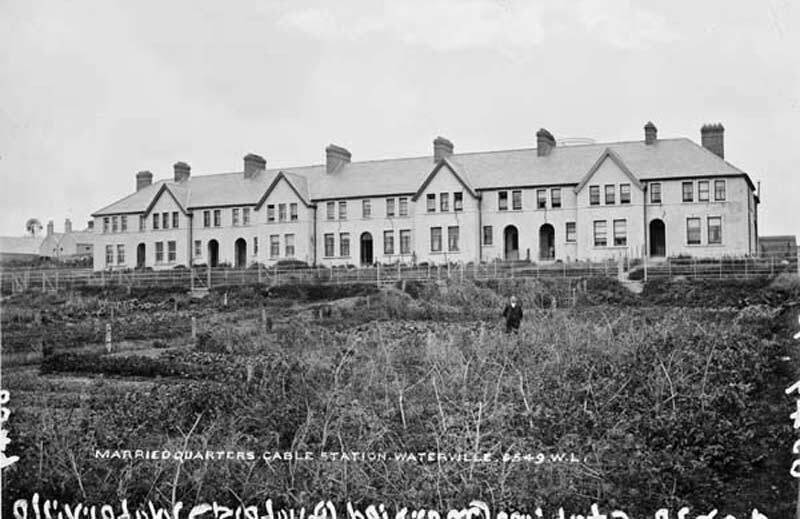 The Waterville - Weston super Mare cable was manufactured and laid by the Telegraph Construction and Maintenance Company using CS Anglia. 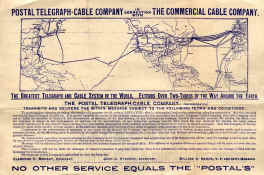 The Telegraph Construction and Maintenance Company undertook the manufacture of the fifth cable in 1905 using CS Anglia to lay the Waterville - Weston super Mare cable and the main cable across the Atlantic with CS Colonia and CS Cambria assisted by CS Mackay Bennett laying the Nova Scotia - New York cable. 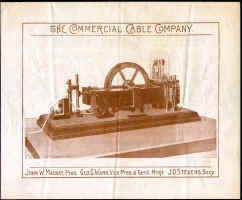 The sixth and final cable was split between the two manufacturers, Siemens Brothers making and laying the New York - Canso, Nova Scotia, cable in 1923 using CS Faraday (2). 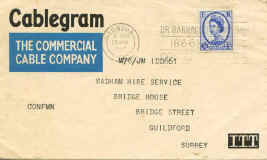 The Telegraph Construction and Maintenance Company undertook the manufacture and laying of the rest. This cable went via Horta, Azores, on to Waterville, Ireland, and then to Le Havre, France. The main cable was laid by CS Colonia and CS Stephan , while a chartered vessel, T. W. Stuart, was used to lay the shore ends at Horta, Waterville and Le Havre. 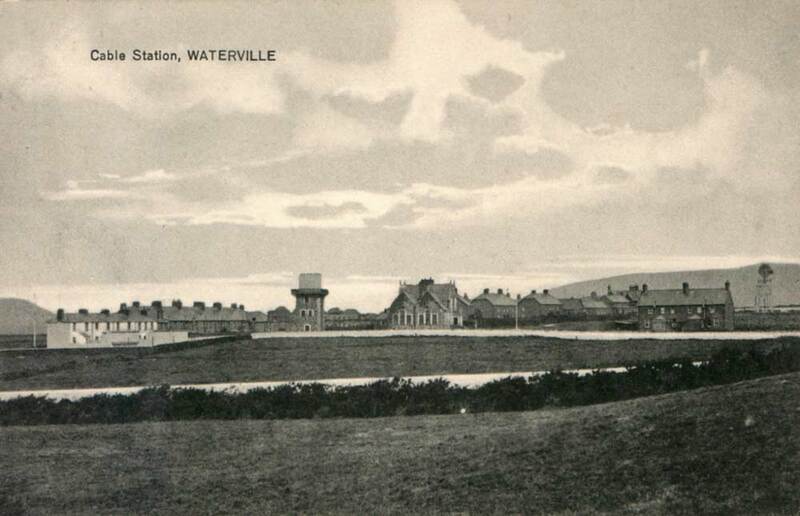 1884 Dover Bay, Nova Scotia - Waterville, Ireland - Weston super Mare: Waterville, Ireland - Le Havre, France Siemens Bros Faraday (1) System 6500 nm. 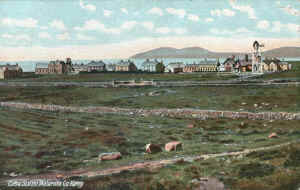 Two cables were laid between Canada and Ireland. 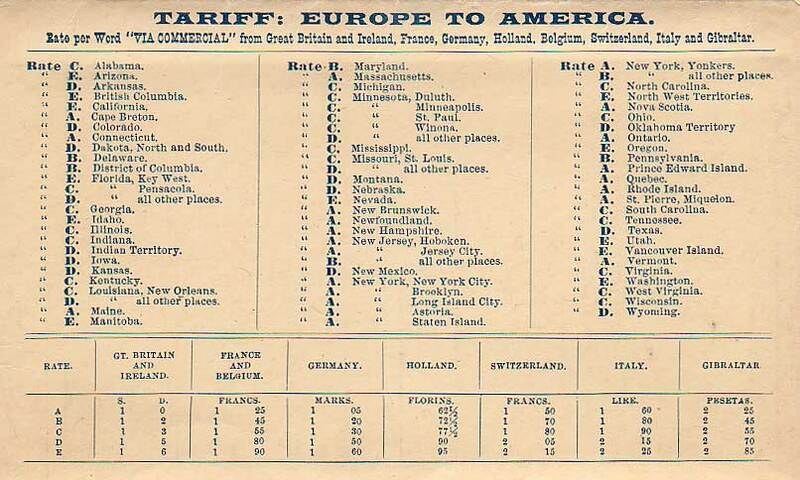 One was linked to the UK the other to France (See 1885 entries). 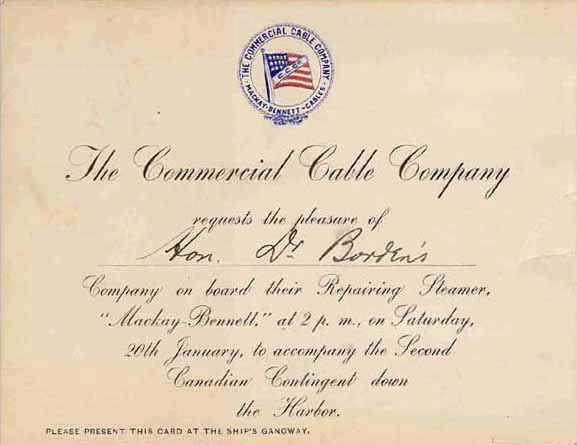 In 1909 CS Mackay Bennett diverted one cable into Cuckold's Cove, near St Johns, Newfoundland, the work was completed on 14 July. 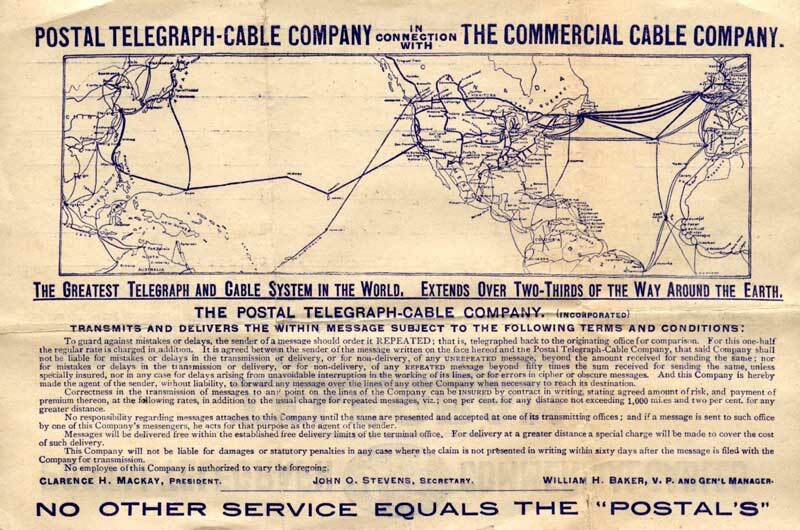 In 1910 the second cable was diverted to the same place also by Mackay Bennett. 1900 Canso, Nova Scotia - Horta, Azores (Main 4) Siemens Bros Faraday (1) System 1698 nm. 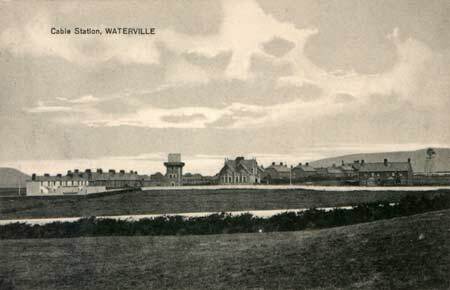 1910 Waterville, Ireland - Weston super Mare, England ? ? 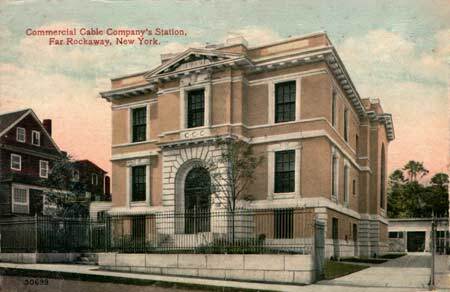 Postcard showing the cable station of the Commercial Cable Company at Grandview Avenue, Far Rockaway, Long Island, New York. 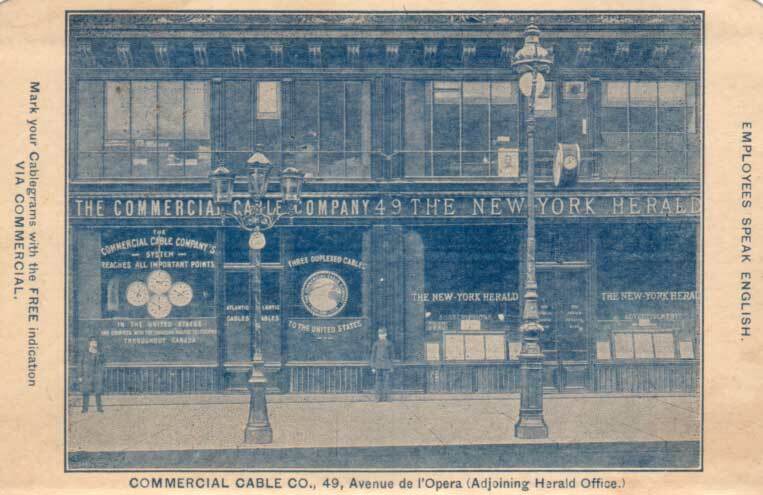 Seven Atlantic cables ran into this office from the cable landing at Beach 16th Street. 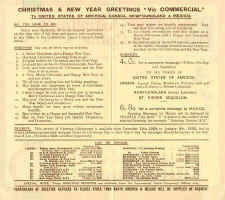 The New York Times issue of 11 June 1911 reported that "The Lewis H. May Company has resold for Sidney J. Smith a plot of ten lots on the east side of Grandview Avenue, north of the Rue de St. Felix, Far Rockaway, to the Commercial Cable Company, which will erect a receiving station and will remove their present Atlantic cables from Coney Island to the Far Rockaway property." 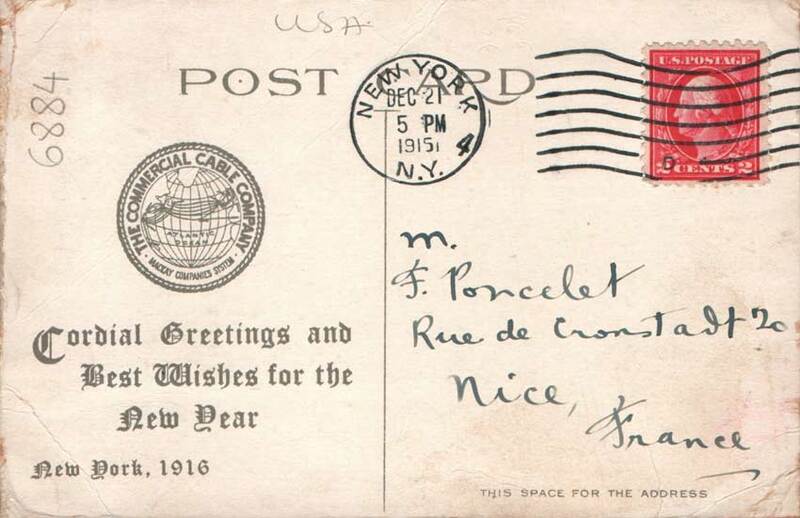 In 1916 many of the street names in Far Rockaway were changed, and Grandview (sometimes given as Grand View) Avenue was renamed Beach 17th Street/Caffrey Avenue, and Rue de St. Felix was renamed Beach 14th Street/New Haven Avenue. 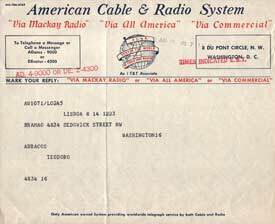 The cable station address was then 1414 Caffrey Ave, between New Haven and Mott. The markers show the location of the cable station and the cable landing site. According to the Rockaway Memories website, the building was sold at the end of the 1930s and was later used as a yeshiva, finally being demolished in 1985. The site is now vacant, and is planned to serve as a sitting area and entranceway to the 18th century Cornell Burial Ground at the rear of the lot, which in 1946 the Cornell Cemetery Corporation was reported as working on restoring. The cable station site in April 2009. 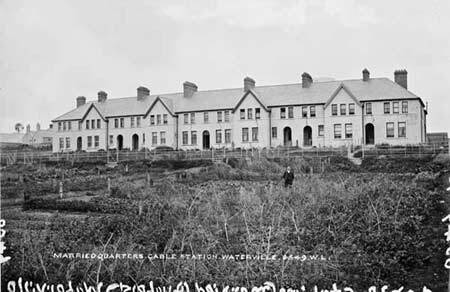 The house to the left of the station (visible in the 1916 postcard above) is still there, but all that remains of the station building is the low wall, the front steps, and the driveway entrance. 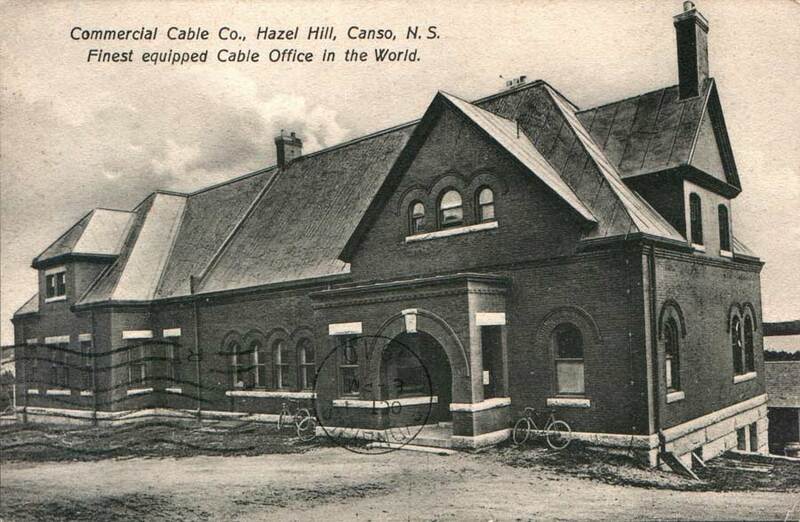 Commercial Cable Co., Hazel Hill, Canso, N.S. 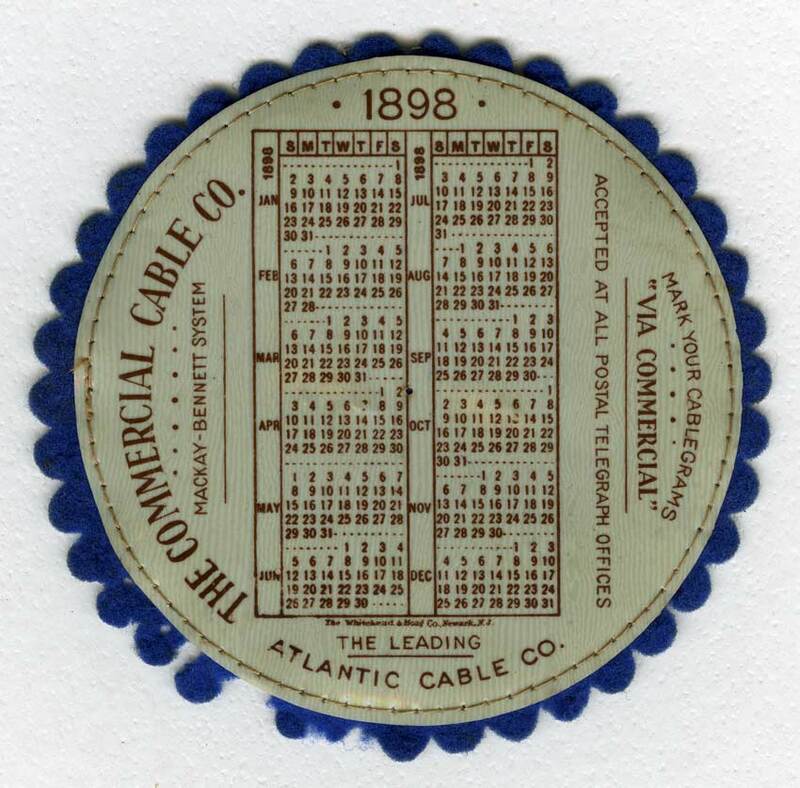 After the Anglo American telegraph concession in Newfoundland ran out in 1904, in 1905 CS Mackay Bennett diverted the two 1884 cables into Cuckold’s Cove, near St. John's. 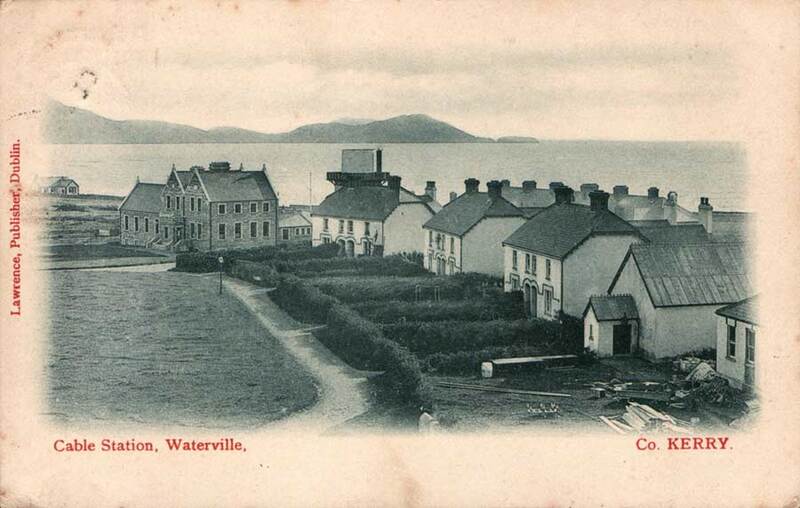 In 1909 a cable was laid direct from St. John's to New York by CS Colonia, along with an extra link between Waterville and Weston super Mare. A cable hut was built at Cuckold’s Cove and this was in use until 1916, when a new cable office was built at 111 Water Street, St. John's. 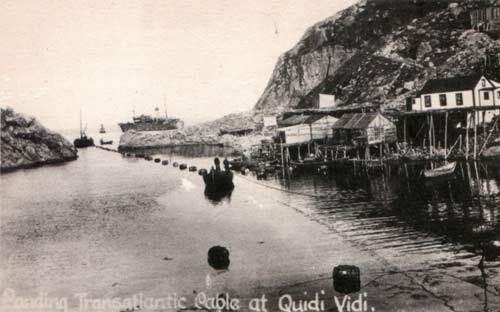 The cable was extended from the Cove by a buried cable to Quidi Vidi Lake, across the lake by submarine cable and then a final buried cable from the lake to Water Street. 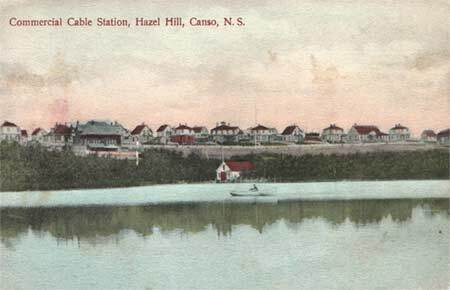 In 1926 CS John W Mackay diverted the 1894 and 1905 cables into Quidi Vidi Harbour and a regenerator station was built there to boost the signal on its final leg. 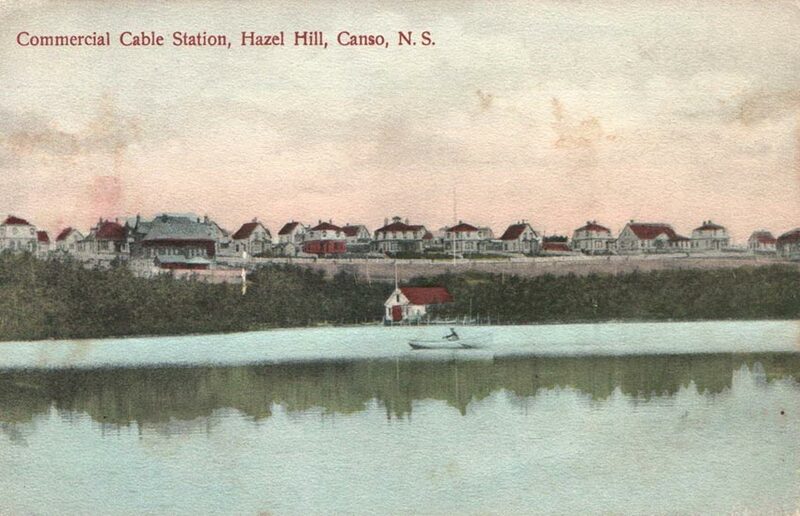 Like the earlier cables these two were linked to Water Street by a combination of buried cables and a cable across Quidi Vidi Lake. Tracing showing shore ends at Quiddy Viddy, St. Johns after diversion. 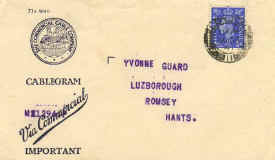 The dates above are the original laying date and the date of the diversion. 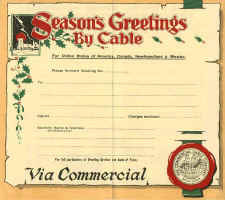 Christmas & New Year Greetings Telegram Form for December 1929 to January 1930. 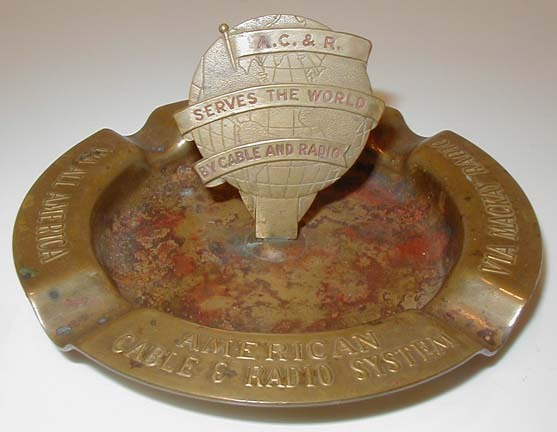 The Commercial Cable Company eventually became one of the constituent companies of the American Cable & Radio Corporation. The genesis of AC&R was in February 1927, when All America Cables was acquired by the International Telephone and Telegraph Company (I.T. & T., later ITT). 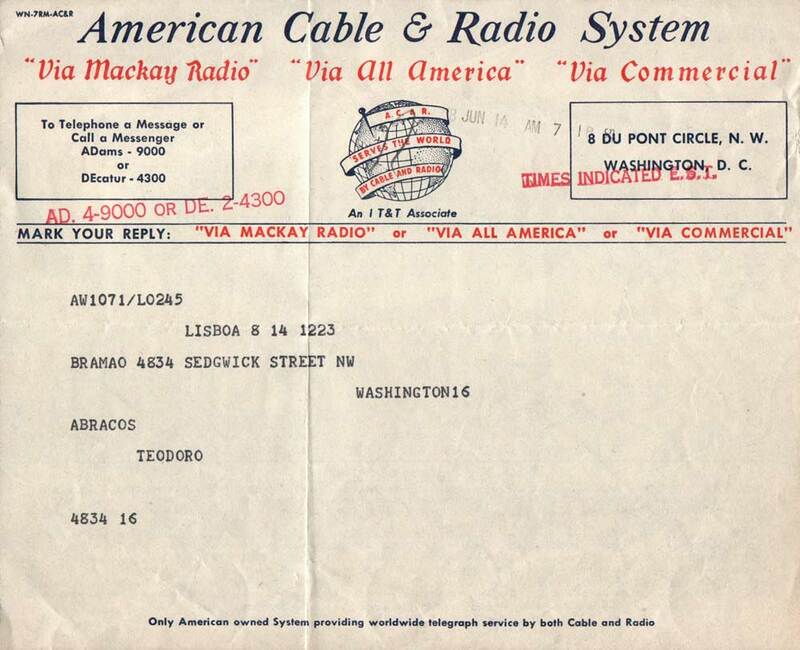 In 1938 the division name was changed to All America Cables and Radio, and with the Commercial Cable Company and Mackay Radio & Telegraph, all these entities became part of the American Cable and Radio Corporation, of which ITT was the major shareholder. 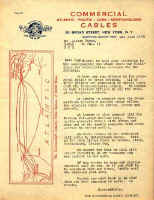 At the end of 1961 five of the above cables were still in operation; one of the original 1884 cables was no longer in use. 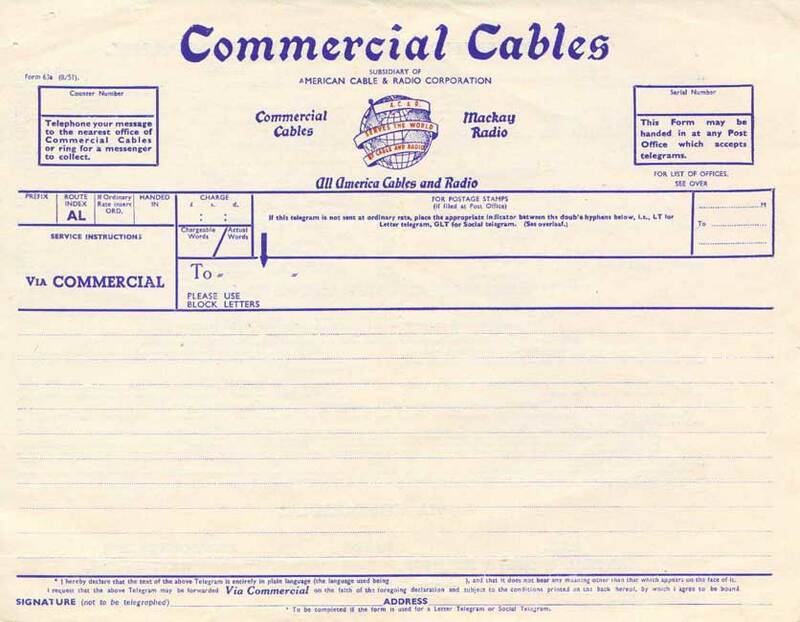 The company applied to the Federal Communication Commission for permission to abandon all five cables. 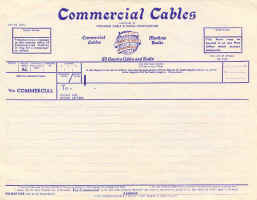 This was granted, leaving the company free of the burden of cable maintenance. By this time the American Cable & Radio Corporation already leased one circuit in both TAT 1 and TAT 2 and so had a greater capacity, as each telephone circuit was capable of carrying twenty two telegraph circuits. 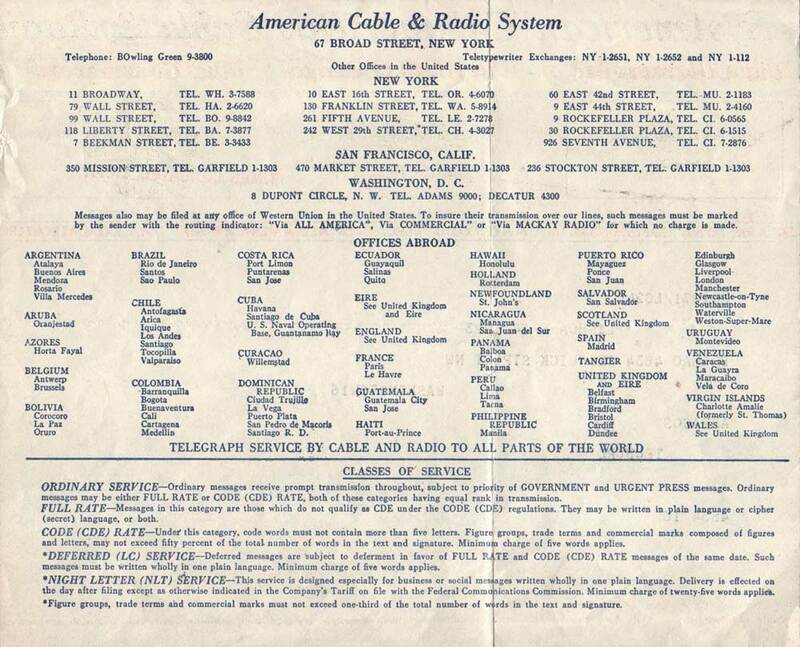 Around the same time operational changes were made and from then on all telegraph circuits were leased by ITT World Communications Inc., although the Commercial Cable Company name was still in use on stationery and offices. The remaining cable ship, CS John W Mackay, was transferred to the Commercial Cable (Marine) Company Ltd., finally being scrapped in 1994. 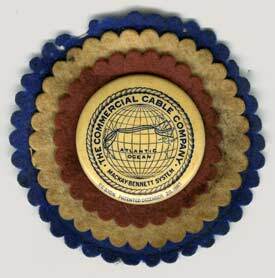 In 1907 the Commercial Cable Company formed a subsidiary company, the Commercial Cable Company of Cuba. 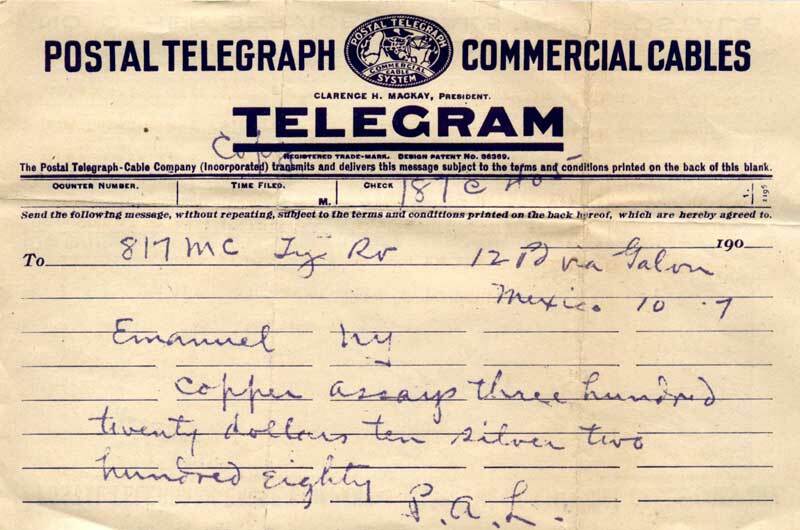 The company awarded a contract to the India Rubber, Gutta Percha and Telegraph Works Company to manufacture and lay a cable from New York to Havana. 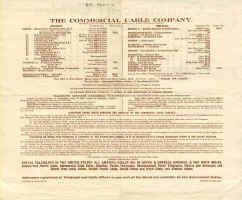 CS Silvertown laid the 1288 nm cable. 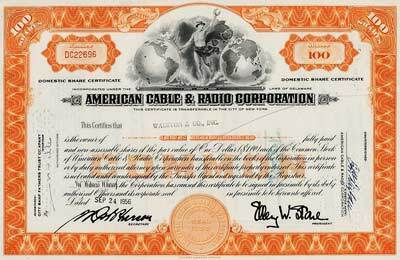 On formation, All America Cables leased this cable as their main link between the USA and Cuba. 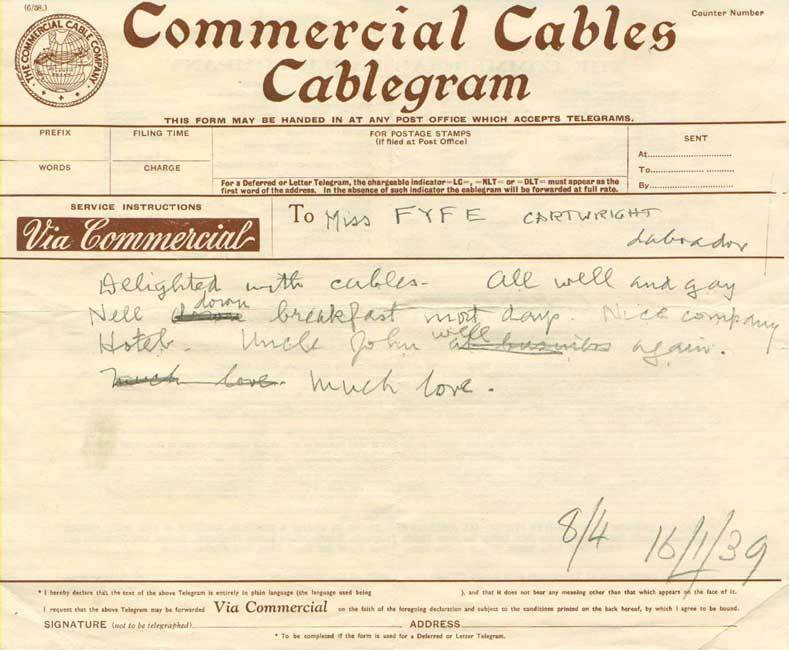 At the same time as the order for the first cables was placed with Siemens Brothers, an order was placed with John Elder & Company, Govan, Scotland, for a cable repair ship to maintain these cables. 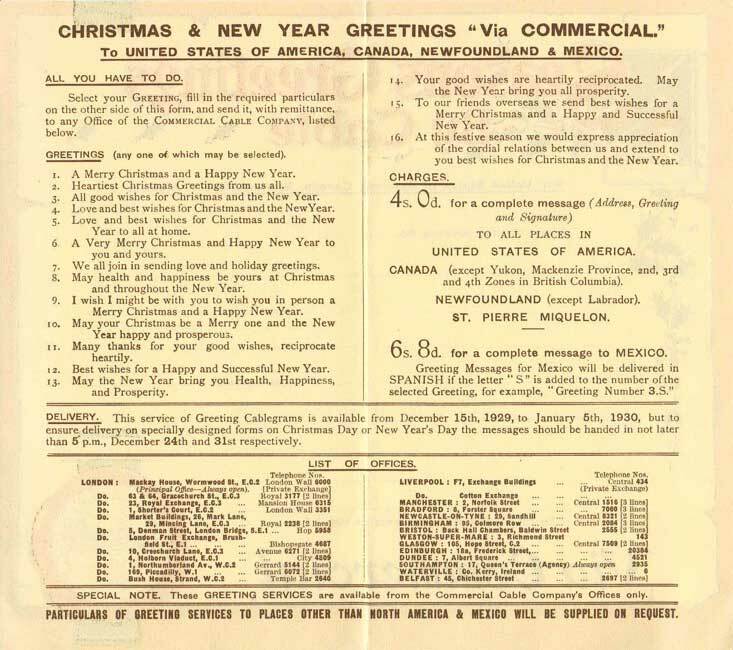 The vessel was launched in 1884 with the name CS Mackay-Bennett, and was normally based at Halifax, Nova Scotia. In September and October 1899 a series of yacht races, known as the America's Cup, took place between the British challenger Shamrock, owned by Sir Thomas Lipton, and the American yacht Columbia. 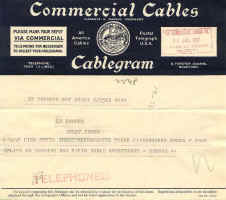 The owner of the New York Herald and co-owner of Commercial arranged for Marconi to set up his wireless telegraph to report on the races. 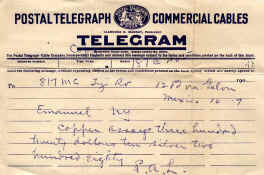 One set of equipment was put aboard CS Mackay-Bennett and was operated by T. Bowden, assistant telegraphist to Marconi. Another set was placed aboard the Puerto Rico Line vessel the Ponce, but part way through the series of races it had to be moved to the Grande Duchesse. Marconi transmitted the signals to Bowden who in turn sent them to W.W. Bradfield who was in the New York Herald building. 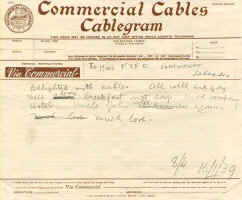 From here the reports were transmitted over the land telegraph and via Commercial's cables to the UK. 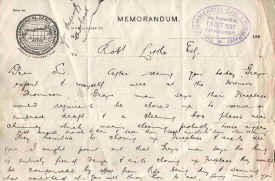 After the Titanic disaster CS Mackay-Bennett, at the time berthed in Halifax, was chartered to recover those who lost their lives. Those identified as first class passengers were placed in wooden coffins which were stored aft, while third class passengers and crew were wrapped in canvas and placed for’rd. 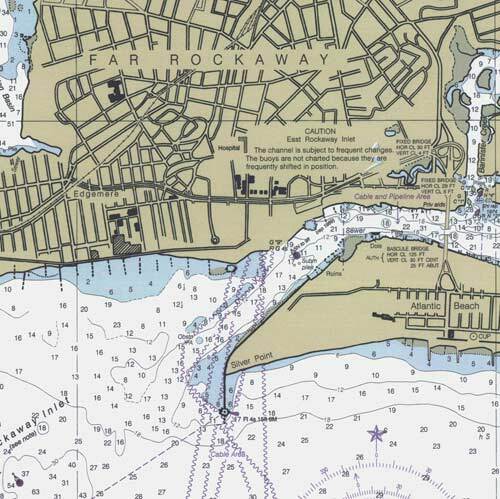 In all 328 bodies were recovered, including one child; 119 of these were buried at sea, of which 60 were unidentified, and the remaining 209 were taken to Halifax. The ship was taken out of service in 1922 and used as a cable storage hulk in Plymouth Sound. During WW2 she was sunk during the blitz on Plymouth, but was refloated, and remained there until 1965 when she was towed to Ghent, Belgium, for breaking up. 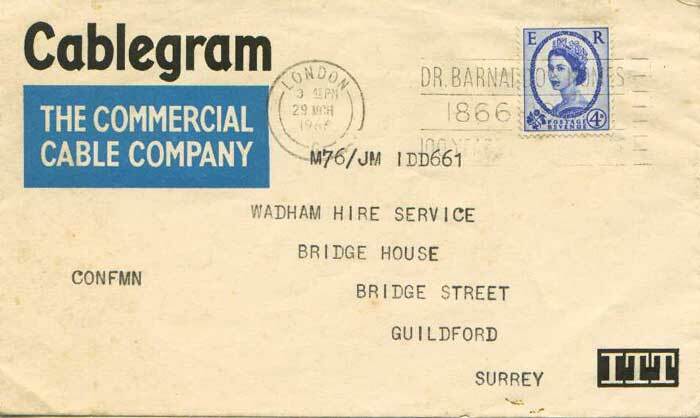 Built 1922 by Swan, Hunter and Wigham Richardson Ltd. Built as a replacement for CS Mackay Bennett to carry out cable maintenance work. Sold for scrap in 1961 to Belgian shipbreakers. Built 1945 by Swan, Hunter and Wigham Richardson Ltd.
One of four identical vessels built for the Royal Navy and Admiralty Cable Service, this one originally being named CS Bullhead. 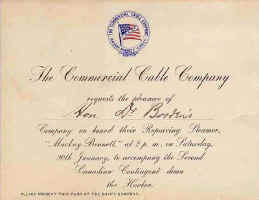 Sold to Cable & Wireless Ltd. in 1946 and renamed CS Electra (2). After purchase the vessel was refitted and then spent the next thirteen years in the West Indies on cable maintenance duties. 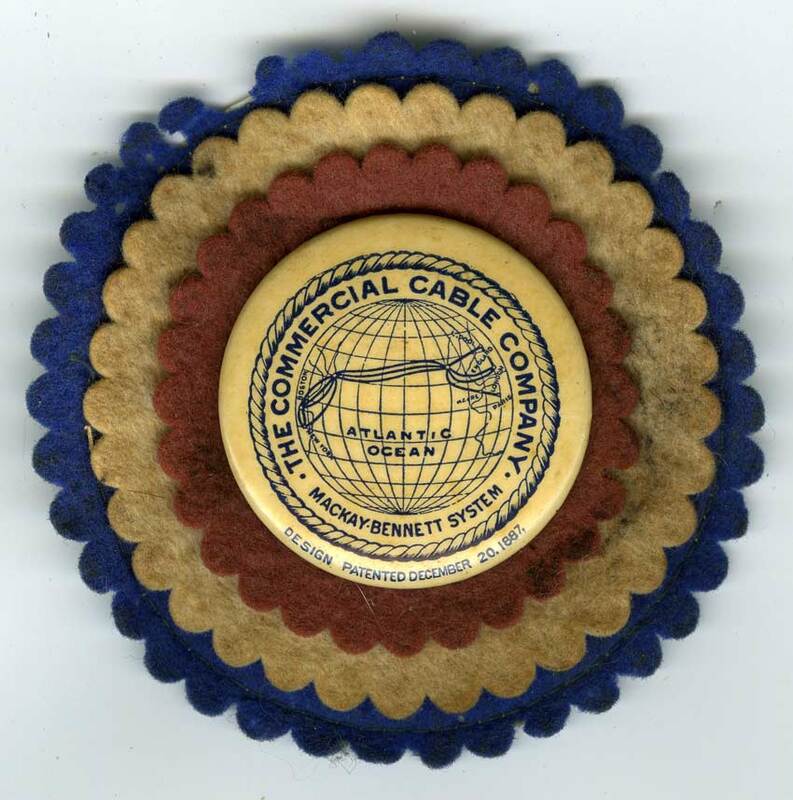 Sold to the Commercial Cable Company in 1959 and renamed CS Cable Guardian. Sold for scrap to Scottish shipbreakers in 1964. 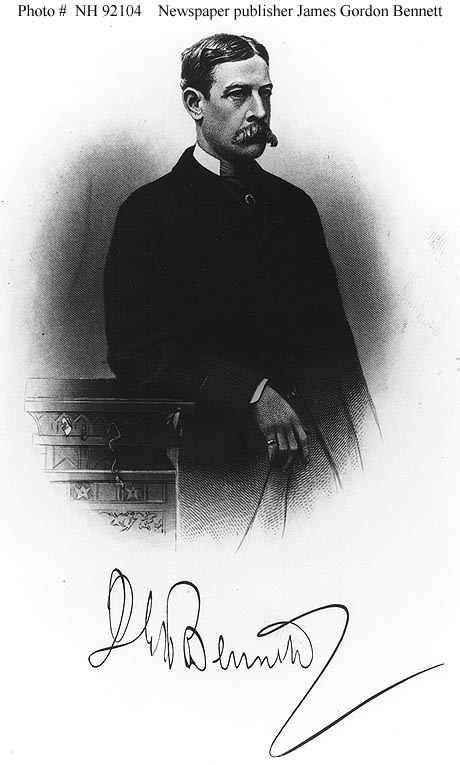 This vessel was named after the Vice President and General Manager of the company George G. Ward. See main page for this ship. 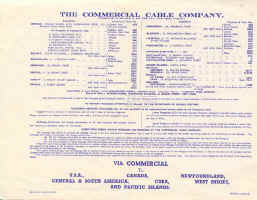 For more information on the Commercial Cable Company's cables at Weston-super-Mare, England, see John Crellin's site. 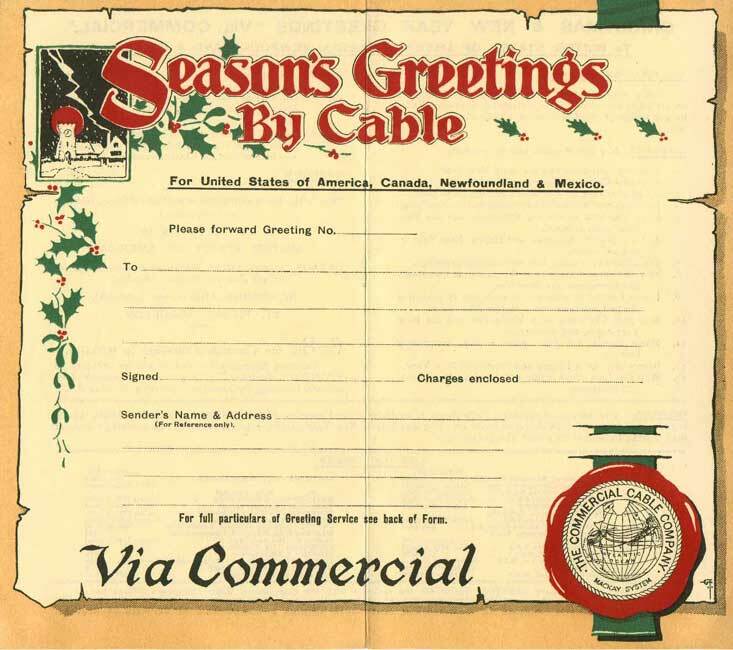 For the history of the other end of the cables, in Nova Scotia, see The Cable Story in Canso (archive copy, original site no longer accessible). 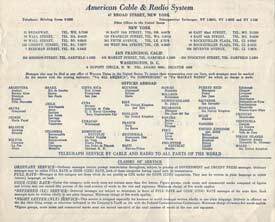 Read Walter Claypoole's reminiscences of working at the Far Rockaway station of the Commercial Cable Company. 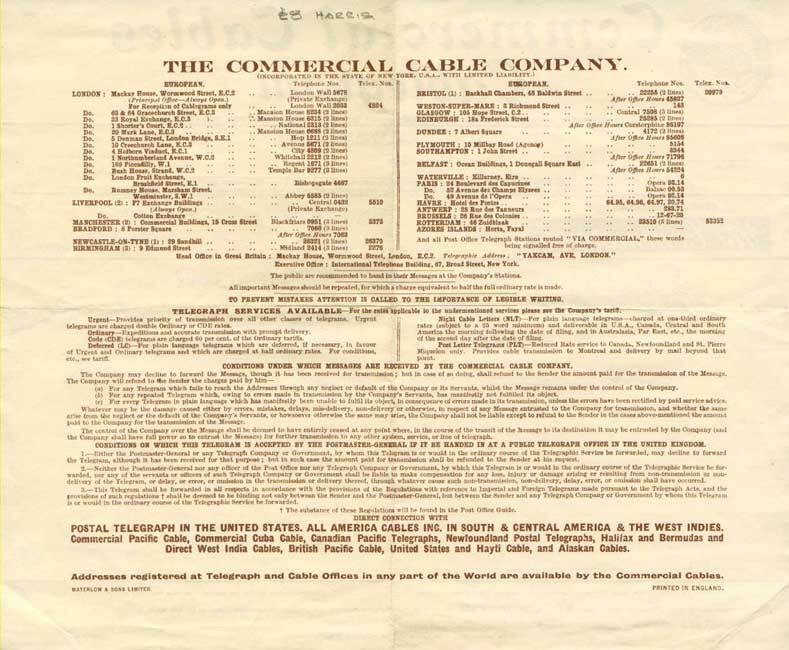 See also this 1886 article from The Telegraphist on the Commercial Cable Company and CS Mackay-Bennett, this 1886 article on the Canso Cable Station, and this 1915 article on the making and laying of the CCC's cables. For much information on Clarence H. Mackay, who became president of the Commercial Cable Company in 1902 after his father's death, see Bill McLoughlin's Mackay website. See this page on Henry Ash, an amateur artist who made many sketches during Faraday's cable expeditions between 1879 and 1900. 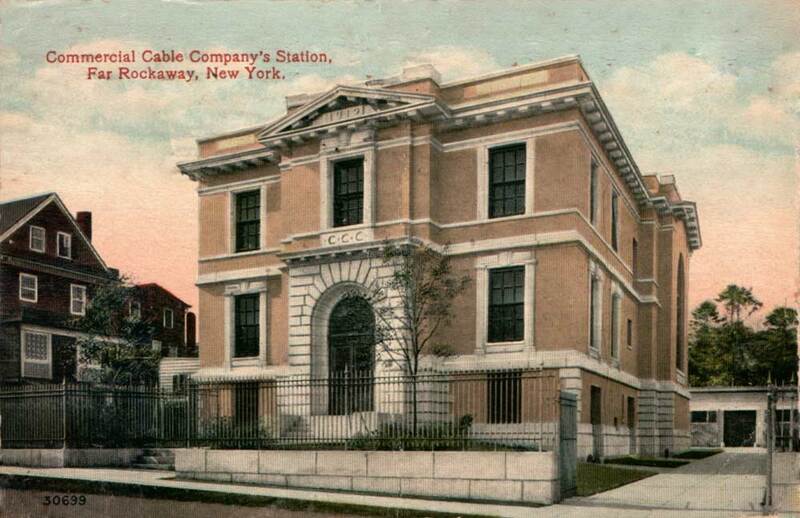 The CCC's Coney Island cable station was used from 1884 until operations were transferred to Far Rockaway in 1912. The CCC's Antwerp cable station is described and pictured on this page. 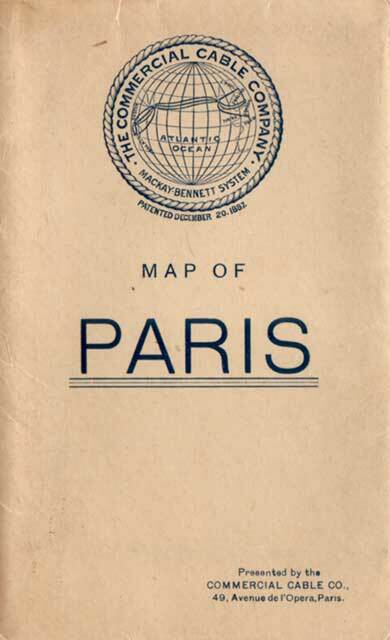 The CCC's Le Havre cable station is described and pictured on this page. The Cable History Trail has information on the Waterville cable station in 2007.